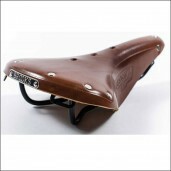 The Brooks B66 Saddle City Honey Brown is one of the most popular Brooks Saddles of all time. The B66 is produced since 1927 and is very popular thanks to his very high comfort and nice classic looks thanks to the high quality leather and the chrome springs. 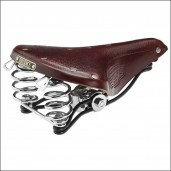 The B66 is perfect for classic city bicycles when the handlebar is higher than the saddle. 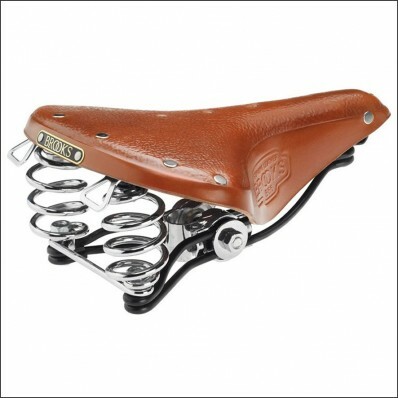 Take history with you on your bicycle with this beautiful leather saddle from Brooks. 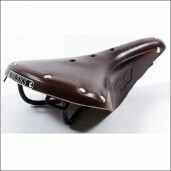 Start customizing your bike and order your Brooks B66 saddle online now! Please note: The leather will age beautiful and can change colour after exposure to sun, rain and usage. Ps NOT included: Brooks box, tool to install.